Gone are the days of scrolling mindlessly through your queue! No longer will you have to sift through the vastness of what’s coming to the instant viewing wastelands this month! Whether you’re looking for a stellar film or an exciting new show to binge, here are the hottest releases in film and television on instant viewing platforms that we know you’ll love, or at the very least not despise. The crown jewel of the Czech New-Wave, Vera Chytilova’s DAISIES is a film that still manages to infuriate and entice audiences fifty years later. An anarchic Dada feature, DAISIES is a film that breaks all the rules, that proudly sticks its middle finger in the eye of its audience in a brilliantly provocative fashion. Following two girls who renounce good behavior because “everything’s going bad in this world,” the film quickly descends into a maddening display of experimental, formal technique. And yet, for all its provocations, DAISIES remains one of the most fascinating and enigmatic films ever to have been made. It’s easily the most daring film of the Czech New-Wave, helmed by the boldest filmmaker in the movement. It’s a great political piece, as well as being a monumental work of feminist cinema. Akerman is a personal favorite of mine, a filmmaker who understood the potentiality of the medium in a way that few others ever have. Best remembered for her 1975 feature JEANNE DIELMAN (a masterpiece in every definition of the word), many of Akerman’s films explore loneliness, isolation, alienation, and boredom. Time is the key element to Akerman’s films – her technique makes the audience keenly aware of every second that ticks by, forcing them to confront its passing in an acute manner. 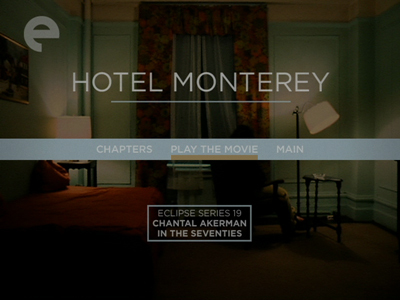 HOTEL MONTEREY shows this technique in its most concentrated form: in its wordless 65 minute runtime, Akerman slowly takes us down the creeping corridors and empty rooms of its titular hotel. Experiencing the film becomes a sort of meditation, allowing the audience to imbue the scenes with their own personal minutiae. Though certainly not for everyone, it remains a fascinating formal experiment that, for some, can be a truly emotionally evocative piece. 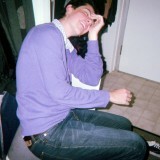 Jonathan Mackris is a film studies student and co-founder of the New Cinema Society at Dodge College of Film and Media Arts. When he's not singing the praises of Lars von Trier, Guy Maddin, Kenneth Anger, or the Iranian New Wave, he's probably listening to trap music and using ANTICHRIST as a date movie (hey, it hasn't failed him yet).